"There is also the rhetorical cul-de-sac Republicans are trapped inside: They've made much hay of the president's promise that no one would lose their existing insurance. Yet here they are, a few months later, running explicitly on a promise to take away insurance from well over 10 million Americans. In Kentucky, that number is 413,000, exactly." Turns out I'm on the right track, as Sen. Mitch McConnell is turning himself into pretzels trying to weasel out of that rhetorical cul-de-sac. So there he was last week claiming, hilariously, that Kentucky Kynect, the state implementation of Obamacare, had nothing to do with Obamacare. "Kentucky Sen. Mitch McConnell says he would try to repeal the Affordable Care Act if he's elected Senate majority leader. "But the veteran senator won't say what would happen to the 421,000 Kentuckians who have health insurance through the state's health care exchange. "McConnell told reporters Friday that the fate of the state exchange is unconnected to the federal health care law. Yet the exchange would not exist, if not for the law that created it." "The McConnell campaign made clear he does not endorse the state exchange, but indicated it could survive a full blown repeal if the GOP takes over the Senate. 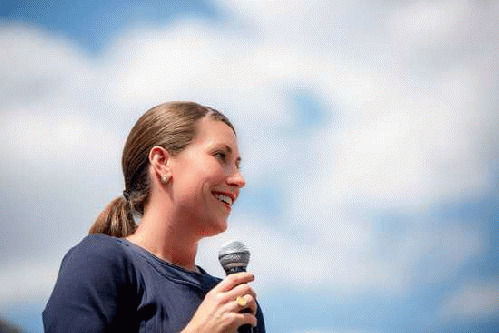 "'If Obamacare is repealed, Kentucky should decide for itself whether to keep Kynect or set up a different marketplace,' McConnell campaign spokeswoman Allison Moore told WFPL." "When asked twice by the Associated Press whether she would have voted for the federal overhaul four years ago, [Alison Lundergan] Grimes balked. "'I, when we are in the United States Senate, will work to fix the Affordable Care Act,' Grimes told the AP." That's being rightly spun as Grimes avoiding the issue. And she can't avoid it. Not only does it generate bad "Grimes avoiding the issues" headlines, but she'll be closely associated with the law whether she likes it or not. So if asked if she would've voted for it, why not say something like "Yes! And there are 421,000 Kentuckians who would thank me for that today. Of course, it's not perfect, so I'll vote to fix it where it's not great, unlike Mitch who won't allow any improvements." That would highlight the law's benefits to the state, while also reinforcing McConnell's negative reputation as an endless obstructionist. Let Republicans throw their temper tantrums. No one is attracted to a candidate who responds with a defensive crouch. It is they who must defend stripping insurance away from over 400,000 Kentuckians. And given McConnell's early flailings on the issue, it's clear they recognize the danger ahead.